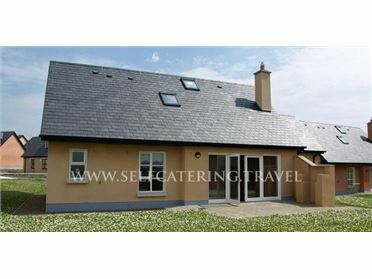 Ideal self-catering accommodation for Family Parties, Groups or as a Small Conference Venue, spectacular Cooley Mountain views can be enjoyed from the Conservatory and Terrace as well as the spacious Drawing Room, with it's Balconies and Open Fire Place. Three of the four bedrooms are en suite, two of these enjoy the same mountain views through casement windows leading out to balconies. Whilst the other two open out onto enclosed south facing patios. The accommodation consists of 8 bedrooms and 8 bathrooms and sleeps 23 guests..